Study reveals not enough exercise is worse than obesity. When it comes to eating right and exercising, there is no “I’ll start tomorrow”. Tomorrow is disease. What do you think after reading this quote? Do you think it’s dramatic – the message doesn’t pull any punches, basically its do more exercise or loose your health! But with most people still not being active enough even to maintain basic health, is this message what is needed for us to sit up and really take in the facts. Maybe you think it doesn’t apply to you, or the message is an over exaggeration of the truth? Maybe you are one of the ‘ I’ll start tomorrow’ that hasn’t yet found ‘tomorrow’. What is your reaction? At MiBody we want everyone to become and stay healthy and active, and for that ‘tomorrow’ to be an experience where you are looked after by experts in their field, and encouraged to continue, so you are less likely to end up as one of the statistics of a recent study that concluded lack of physical activity could lead to twice as many deaths as diabetes. A 12-year study by the University of Cambridge and published in the American Journal of Clinical nutrition had over 335,000 participants taking part, and concluded that a shocking 670,000 deaths in year in Europe could be attributed to lack of exercise, and 337,00 caused by being overweight. We are constantly being reminded that exercise is good for us, and maybe this is the trouble, we have all become very ‘numb’ to the advice, it no longer makes us sit up and pay attention, but ignorance of the fact that inactivity can kill, leaves an expensive price to pay in terms of both money, human heartache and pain. Physical exercise helps to keep you younger, boosts your immune system, helps to combat stress and generally encourages your body and mind to work better – a little like a well looked after car (not the mind part of course), that when left on the drive and allowed to stagnate, soon becomes unwilling to move and a pain to get going! The fact remains in today’s sedentary world, where the most exercise some people get is from their front door to their car seat, and car seat to desk, inactivity is a real cause of disease and death. Especially as we grow older, the state of our health and quality of our lives, are more in our hands than most people ever realise. Over two thirds of adults in the UK do not meet the governments recommended guidelines for physical activity. This is either 150 minutes per week of moderate physical activity (getting our of breath) or 75 minutes of vigorous physical activity (getting out of breath more than just a little), in addition to this we should include two resistance training sessions (working your muscles) across your whole body. A 20 minute brisk walk every day, or 2-3 MiBody walking classes per week, could do wonders for your health, and if you do it outside rather than on a treadmill, your will grow stronger and burn more calories like for like. Exercise helps our body regulate vital bodily functions like fat and sugar levels in our blood, two variables which when too high can lead to things such as Cardiovascular disease and diabetes. You may be surprised to know that even practices such as yoga can help to improve these conditions. MiBody was conceived by two experts in their field, one from the world of elite sport, and the other from the world of Fitness Education and Holistic fitness and therapy. Between these two ends MiBody has met in the middle and designed exercise programmes to help everyone who is ready to start becoming fit for a healthier life. At MiBody, we know it’s hard to get going, we understand that it’s even a bit ‘scary’ when starting on that unfamiliar road of ‘exercise’, and we also recognise cost may be a barrier. This is why we are trying to remove barriers to get everyone moving, and exercising both inside and outdoors. 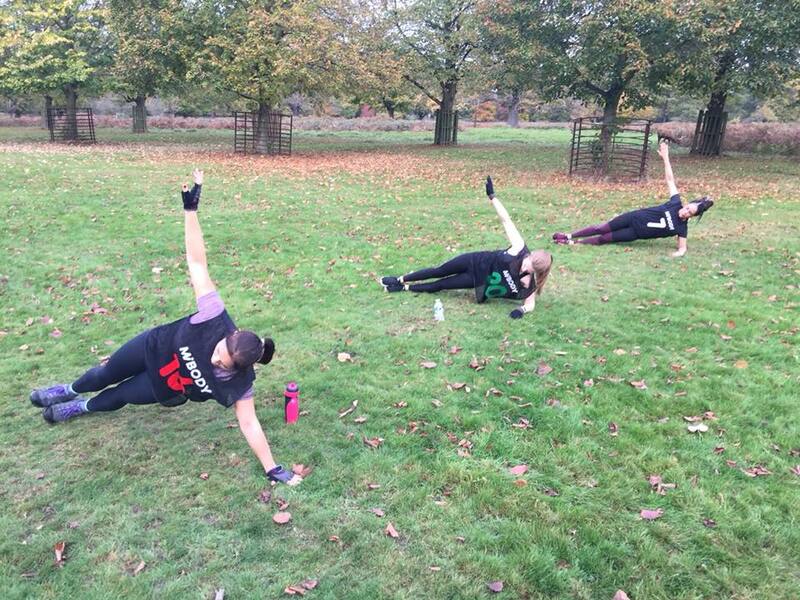 We are running free sessions for all in Bushy Park, and free Indoor (starts late November) Yoga and Pilates classes nearby for a few weeks in December to allow EVERYONE a taste of how the journey to health and fitness can be a great one. Do check back the first week of December when we launch our Christmas/New Year special offers and joint packages, to help everyone give the gift of health to a loved one. We urge you…wake up and realise just how strong and empowered you really are to make life saving changes for both yourself and those around you.